Groom leans in close to kiss his Bride's cheek as she looks at photographer. 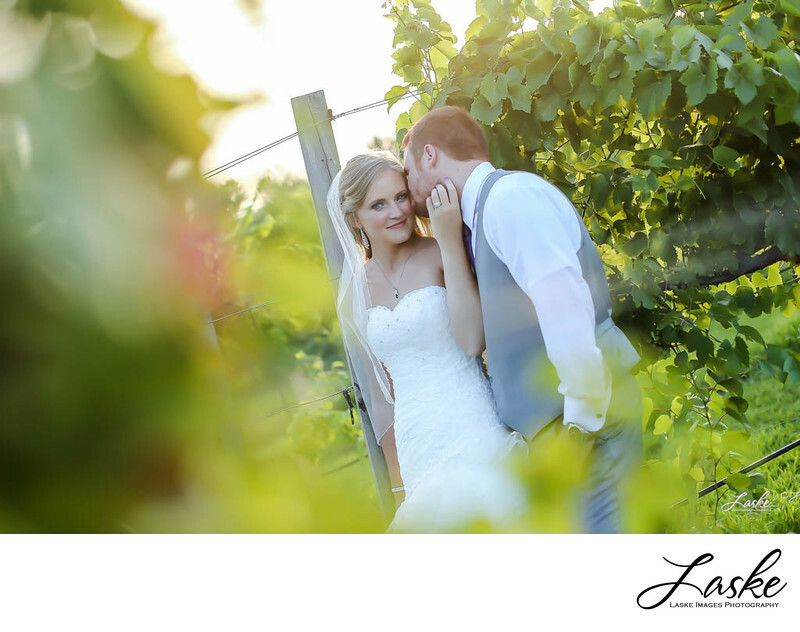 They are standing in a vineyard at sunset. 1/320; f/2.2; ISO 100; 50.0 mm.